VicTsing | The Air Geeks, reviews of air conditioners, dehumidifiers and air purifiers. 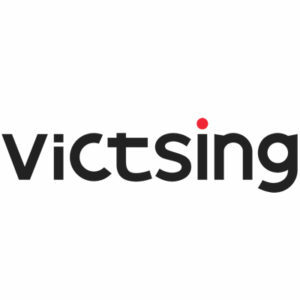 VicTsing is consumer electronic-goods company that was founded in 2012 to produce various audio, electronic and humidifier products. They have retailers in North America, Asia, Antarctica, Europe, Africa, Australia, and South America. It boasts very good annual sales of over $75 million which places it as one of the top sellers in comparison with other companies of similar category. VicTsing has shown that it is possible to provide innovative and practical products and at the same time not get compromised in terms of offering competitive prices to customers. The company has developed a robust support system to ensure the customers’ lives are simplified. All VicTsing has a 45-day money back and a 12-month worry-free guarantee. During the 45-day period, the customer can return a defective item and get a full refund of their money for any reason as long as the item has not been damaged. VicTsing offers a wide range of humidifiers and humidifier-oil diffuser combos. VicTsing Ultrasonic Cool Mist humidifier also doubles down as an aroma diffuser and is one of the top sellers on Amazon with numerous positive reviews. It is elegant in design and portable. The oil diffuser works by simply adding some few drops of essential oils in the water tanks to provide a cool relaxation feeling in the house. The 7-color led lights provide a soothing feeling that will enable you to fall asleep much faster. The humidifier can last for 6-8 hours with a full 300 ml tank. All these for only $30. Other company best seller humidifier are the VicTsing Ultrasonic Cool Mist Humidifier with medical stone filter and the VicTsing Ultrasonic Cool Mist Premium Humidifier with Whisper. Below you will find our reviews for the best air products by Victsing. Thank you for visiting the Air Geeks!